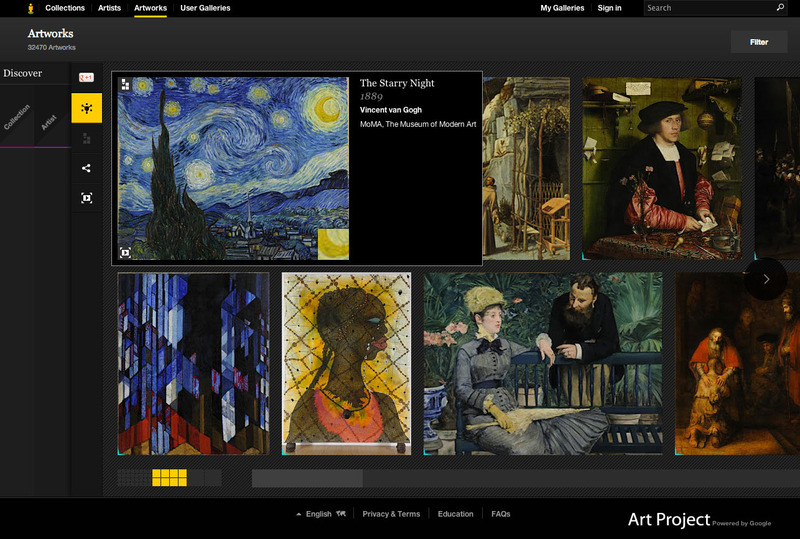 Home » Google , Multimedia » Google Art Project is an online platform for access to the works housed in museums partners. Google Art Project is an online platform for access to the works housed in museums partners. Google Art Project is an online platform through which the public can access high-resolution images of artworks housed in the initiative’s partner museums. The project was launched on 1 February 2011 by Google, in cooperation with 17 international museums, including the Tate Gallery, London; the Metropolitan Museum of Art, New York City; and the Uffizi, Florence. Ancient Greeks and Romans used art to represent a wide variety of subjects. These included portraits of gods, rituals, heroes, rulers, and thinkers. Medieval subjects focused largely on the spiritual (representations of Christ, Mary, the saints, miracles, etc.). Renaissance subjects expanded beyond the religious to include classical and literary subjects, portraits, and the representation of the figure in a physical setting (landscape, interior, etc.). Baroque artists added pure landscape (in other words, a landscape that wasn’t a setting for another story), genre (scenes of everyday life), and still life. Modern art from the 19th century added new subjects including urban and suburban life. Can you identify the subject matter and locate these images in their historical period? The roughly 1500 year span, between the fall of the Roman Empire (c. 300 C.E.) and the beginning of our Modern era (c. 1750), is broadly divided into the Medieval, Renaissance and Baroque periods. Each era found a unique way to shape human figures and the spaces they inhabit—an expression of the values of that particular period. Here are some simple ways to recognize these strategies.